Fantastic window boxes on Lafayette Street. TD and I went to Brooklyn on Saturday afternoon to visit a friend in Fort Greene, a neighborhood near Pratt Institute of Technology, the renowned school of art and design. We stopped first at the Brooklyn Flea. You may remember we went to the indoor Brooklyn Flea over the winter in the cold weather. The outdoor one is great too, located in the sports field of a Catholic high school on Lafayette Street. Darlings, it was hot. I have lived in New York City a long time, and I don't remember it ever being this hot. On Saturday it was almost too hot to stop and take pictures, but I snapped out a few. I loved this wooden rolling rack. I asked the vendor about it. She said, "Are you a shop owner?" Do I look like a shop owner? Perhaps. No, I said, just admiring. She said it was an antique rack from a shoe factory. I think it would be great piled high with books. You could roll it around the house with you. But I have no room. It had funny tilted wheels, can you see those? I hadn't seen those before, but she said they work perfectly fine. Out on the sidewalk a guy was hand-cutting silhouette portraits out of black paper. He had a long line of customers. Right out of Charles Dickens. So charming. Back inside the market, I stopped at this vendor. I liked the old clocks and watches, and it was located under a shady tent. A pleasant place to escape. with similar tilted wheels. I wonder what those are called. Then, these oversized industrial carts. But who would have room? I suppose if you lived in a big loft you could put your artist's supplies on them. The Brooklyn Flea attracts the best-looking people in New York, boys and girls. 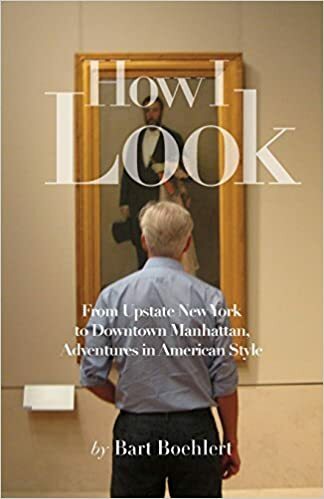 It's really fun for people watching, with lots of style going on – the style is like a combination of New York City, Chilmark, Mass., and Pratt: very confident, natural, easy, American. One girl was wearing a cropped vintage cotton top, boy's pajama shorts and a straw hat with its wide brim tilted over one eye. Chic. You have to know what you're doing to pull off something like that. Wow Becky good for you. I had two fish tacos and TD had a pork sandwich, will check out the People's Pop next time. love those flower boxes...that is thinking outside the box! But we live in Boston, so we started our own cool market www.sowavintagemarket.com. Please check us out if ever in Bean Town on a Sunday. The shoe cart wheels: being in New England, we get in a lot of factories. The wheels are all like that. The racks moved shoes around the factory and had to deal with a lot of debris on the floor (leather, solvents, nails, etc) . The metal wheel and the angles created less friction (less surface area) on the floor so better able to get through the debris and keep moving. It's all about the mo and the flow. And those carts are awesome and look cool too. John just restored a bunch of them we found in a factory in NH. Say hey to the B Flea from John and Stephanie! Thank you for a lovely post. I knew someone would be able to explain those wheels to me! Thanks. Your market sounds great, and will definitely look you up if in Boston.